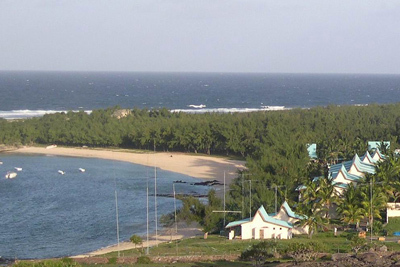 Nigel G3TXF made 5,130 CW QSOs operating as 3B9/G3TXF from Rodrigues Island (AF-017) for six days in early February 07. 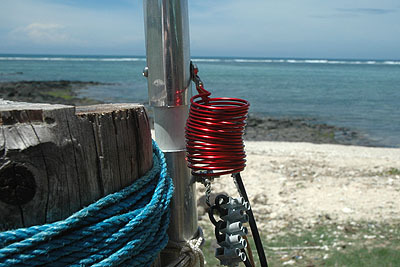 QSOs : 80m : 900, 40m : 1,720, 30m : 2,400 and 17m : 110. The location was the same Cotton Bay Hotel as used by the large multi-op 3B9C DX-pedition in April 2004. 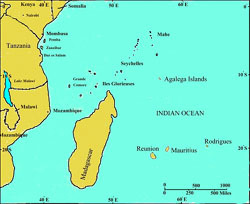 Rodrigues (3B9) is in the Indian Ocean and lies about 350 miles to the east of Mauritius (3B8). 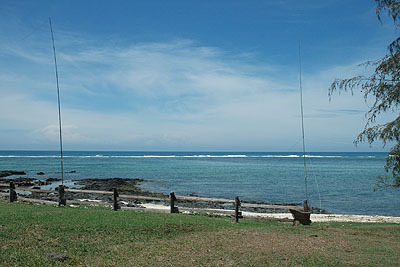 The Cotton Bay is on the east coast of Rodrigues with a clear sea take-off from North through East to South. Excellent for LP USA. 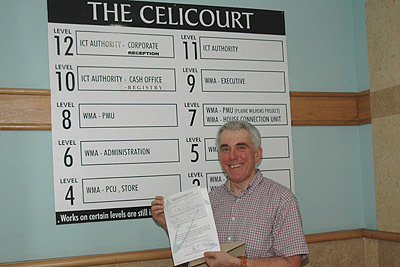 G3TXF collects his 3B9/G3TXF licence from the ICTA (licensing authority) offices at The Celicourt building in Port Louis, Mauritius. Rodrigues (3B9) is a 90 minute flight to the east of Mauritius (3B8). 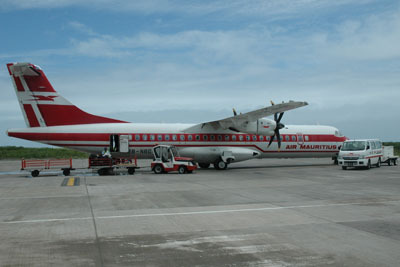 Air Mauritius use ATR72s - this is 3B-NBG at Rodrigues airport. The Butternut HF2V 80m vertical was strapped to a fence post at the beach and several long radials ran out towards the sea. Two verticals at 3B9/G3TXF : a 40m vertical on the left and an HF2V used only on 80m on the right. Radials ran into the sea. Thanks to Don G3XTT for this nice photo showing just part of the large antenna farm at 3B9C at the Cotton Bay Hotel on Rodrigues in April 2004. The nearest chalet in this photo was also used as the shack for the much smaller 3B9/G3TXF operation in Feb 2007. 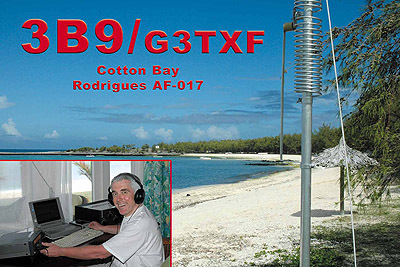 Robert 3B9FR is the only amateur radio operator resident on 3B9 Rodrigues. His QTH is in Citronelle on a steep North facing slope above the main town of Port Mathurin. This photo shows a multi-band vertical. 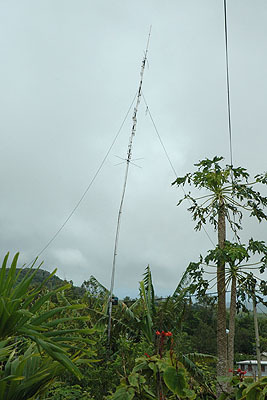 Other antennas had been taken down because of a cyclone.